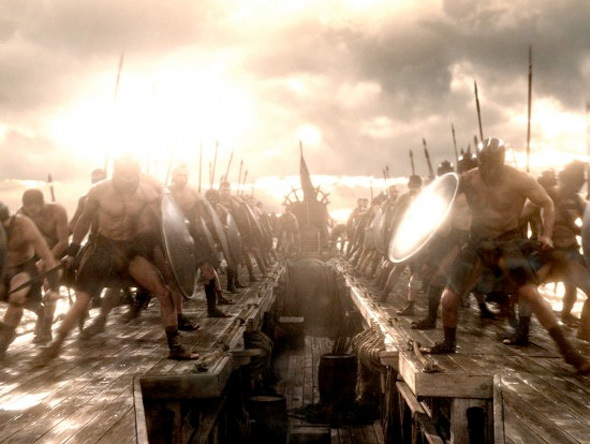 We've been aware of a prequel to 300, the adaptation of Frank Miller's graphic novel of the same name, every since the stylized, action-packed first film was released. Now 300: Rise of an Empire will finally be upon us this August, which means we finally have the first look photos featuring Sullivan Stapleton as the lead character Themistocles (who looks straight out of 300), who battles an invading army of Persians under turned-god Xerxes (Rodrigo Santoro). There's also a cool shot of the warriors in the film, and it just wouldn't be a 300 movie if they were buff and shirtless. Hopefully this will be more than just a copy of 300. Noam Murro (Smart People) directs 300: Rise of an Empire (formerly The Battle of Artemisia), based on Frank Miller's upcoming prequel graphic novel Xerxes, and adapted by Zack Snyder (director of 300) and Kurt Johnstad (writer of 300 and Act of Valor). 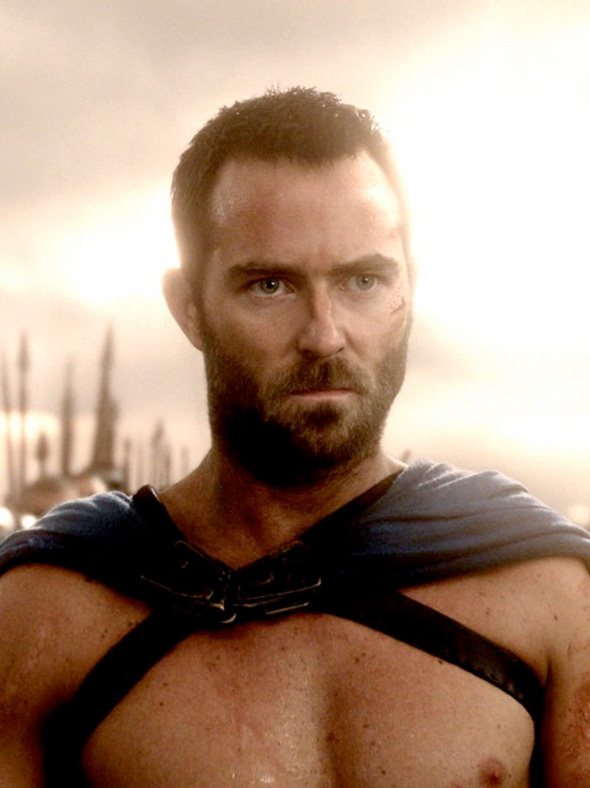 Greek general Themistocles (Sullivan Stapleton) attempts to unite all of Greece by leading the charge against the massive invading Persian forces led by mortal-turned-god Xerxes (Rodrigo Santoro), and Artemesia (Eva Green), vengeful commander of the Persian navy. Warner Bros. sends the film to theaters everywhere late this summer on on August 2nd, 2013. Stay tuned. I'm sure it'll be fine. Looking forward to it. "and it just wouldn't be a 300 movie if they were buff and shirtless." I think you mean *Weren't. As for this, Im hoping that they are going the hard R route or it just wont be the same. Does this mean no more STRIKE BACK? a must see for me but i dont expect it to be better than the first one. Lack of Snyder is worrisome, but maybe the new director will surprise us. I'm skeptical, but at the same time excited. I need to see a trailer before I get excited.